Atlanta's rich culture and history attract millions of visitors each year to Georgia's capital city. From the largest aquarium in the world to picturesque natural beauty, you'll find no shortage of exciting things to do and see in Atlanta. Plan ahead and purchase your tickets online to make the most of your time in the city. Save up to 51% during your trip to Atlanta. Avoid lengthy ticket lines while visiting the city's top-rated attractions. Explore the largest aquarium in the world at the Georgia Aquarium, learn about the birthplace of Coke at the World of Coca-Cola, get a behind-the-scenes look at a CNN Newsroom during a CNN Center Tour and choose between 4 other popular Atlanta attractions. Perfect for weekend getaways or extended vacations, save time and money while getting full access to the best attractions that Atlanta has to offer. Don't miss out on any of Atlanta's famous sites. Take a guided tour of the city to learn all about it's fascinating history. If you'd like to explore the heart of Midtown Atlanta by segway, check out ATL-Cruzers for an intimate and personalized sightseeing tour. Local guides lead the way through the city's main streets and off-the-beaten-path neighborhoods during this 2.5-hour segway tour of Atlanta. ATL-Cruzers also offers 1.5-hour electric car tours for another one-of-a-kind sightseeing experience. If you prefer to see the city by bus, climb aboard American Sightseeing Tours in Atlanta, featuring daily tours hosted by knowledgeable and professional guides. Choose between several different tour experiences, including a Stone Mountain Park tour and a tour of Atlanta's Martin Luther King, Jr. Memorial, Cyclorama and History Center Museum. 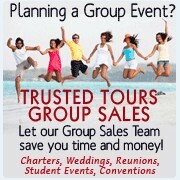 There are also custom tours, private charters and personal driving tours available. Movie and television buff? Be sure to catch an Atlanta Movie Tour while you're in town, including a visit to The Hunger Games set and special zombie tours highlighting filming locations from AM's hit television show The Walking Dead. These top-rated tours offer behind-the-scenes tidbits and fun movie facts narrated by local actors (a few tour guides have even played walkers on The Walking Dead). Home of the largest high relief sculpture in the world, Stone Mountain Park features 3,200 acres of pristine natural beauty and a wide variety of interactive attractions. Take the Summit Skyride to the top of the mountain for an unforgettable view of Atlanta and the surrounding area, watch a show at Georgia's first 4D theater, trek through the treetops at the SkyHike ropes course and stay to experience Stone Mountain's famous Lasershow Spectacular in the evening. Perfect for all ages, you'll find something for everyone at Stone Mountain Park. Enjoy an evening of family-friendly fun and entertainment at the Medieval Times Dinner & Tournament. Feast on a 4-course meal while you interact with 11th century costumed staff, witness amazing swordsmanship and watch an authentic jousting tournament. Take your seat in the air-conditioned tournament hall and be transported to the 11th century in this re-created Medieval Times Castle. This interactive museum appeals to people of all ages with its variety of educational and entertaining exhibits, including dinosaur fossils, ancient North American pottery and a five-story IMAX theater. Stop by the Fernbank to see the largest dinosaur ever discovered, adventure to the Amazon during an IMAX movie and witness the museum's beautiful star gallery. Nestled in Grant Park, Zoo Atlanta features exhibits that span the African Rainforest, Asian Forest, African Plains and more. The zoo is one of only four institutions in the United States that house giant pandas, and, in 2013, the first twin pandas to be born in the U.S. since 1987 were born at Zoo Atlanta. Kids of all ages especially enjoy the Children's Zoo, with a petting zoo, playground, carousel and more. One of the top museums in the Southeast, the High Museum of Art is known for its extensive collection of more than 14,000 works of art. Visitors especially enjoy the museum's traveling exhibits, featuring pieces from the Louvre, China's Terracotta Army, Picasso, Warhol, Dali and more. Situated in Midtown Atlanta, the High is a popular attraction for visitors and locals alike. Known for its part in the 1996 Olympic Summer Games, Centennial Olympic Park hosts millions of visitors each year for a variety of exciting events, including a popular concert series and 4th of July celebration. Open daily from 7 AM to 11 PM, the park is located near many major Atlanta landmarks, such as the World of Coca-Cola, Georgia Aquarium, CNN Center and Georgia Dome. Pack a picnic lunch, visit the interactive Fountain of Rings and enjoy a relaxing day in Atlanta.